The recent events in Bangladesh have filled the media with horrific pictures of human tragedy: mothers mourning their lost children, rescue workers covered in dust unearthing more bodies, death and grief mounting under piles of rubble and boxes of unworn clothes. Amongst a growing inbox of heart-wrenching testimony and photos from workers and rescuers on the scene, there is one image in particular that is seared into my mind. That of a man, dust covered and dead, hugging a woman who lies limp in his arms. I cannot help but wonder, again and again, at what point did he reach over to hug, protect and comfort her? When did they realise they were both going to die? What were their final words to each other? Did they even know each other or did the terror of a collapsing building bring them together? Pictures like these should not exist. Not for the price of a cheap pair of jeans or a £2 t-shirt that can be worn a few times and thrown away. Not ever. The sad fact that sweatshop factories are an ongoing problem, and one that Labour Behind the Label have been campaigning against for years, does not change the shock many people feel at the events of last week. This image, along with the hundreds of others that tell of lives destroyed in the building collapse, has brought to the fore questions over what we, as consumers, can and should do. In the past few days many people have asked me ”where’s OK to shop now?”, assuming that boycotts are the solution. Wanting to put a dent in the pockets of major brands is an understandable response to the tragedy. However, we urge people not to boycott the brands involved. Instead put the workers at the centre of the issue, and ensure their rights are respected. In response to a boycott, brands may cut production or pull out of factories. This would lead to the loss of jobs, garment workers struggling to feed their families and being unable to send their children to school. Countries such as Bangladesh rely on an expanding garment trade. Boycotting may result in a quick-fix solution by brands who will simply pull out of the country, whereas what is needed is a commitment to long-term, actual and lasting change. We want brands to work with unions on the ground and to listen to the opinions of those who know the conditions best – the workers themselves. 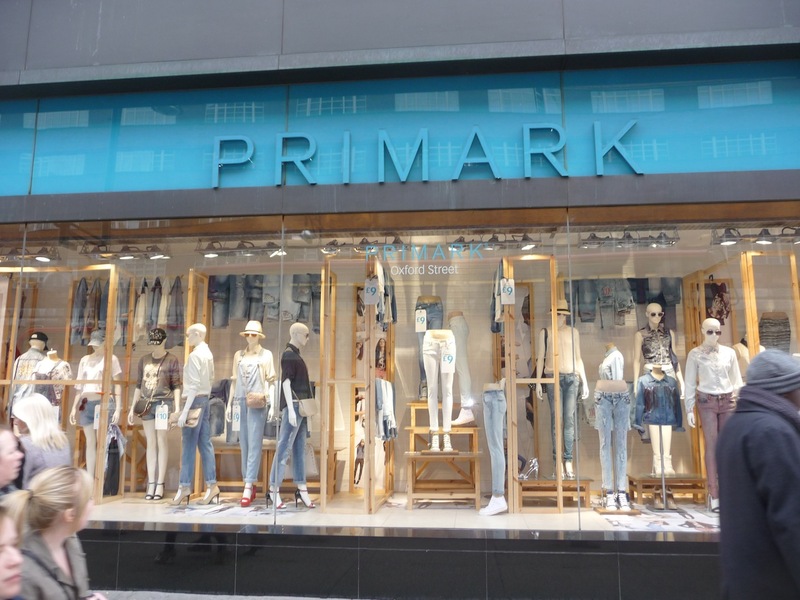 Brands need to commit to improving building safety, working conditions and to ensuring workers are paid a living wage. As consumers, our role must be to push this change by asking relevant questions of the companies whose clothes we wear and by lobbying for change. 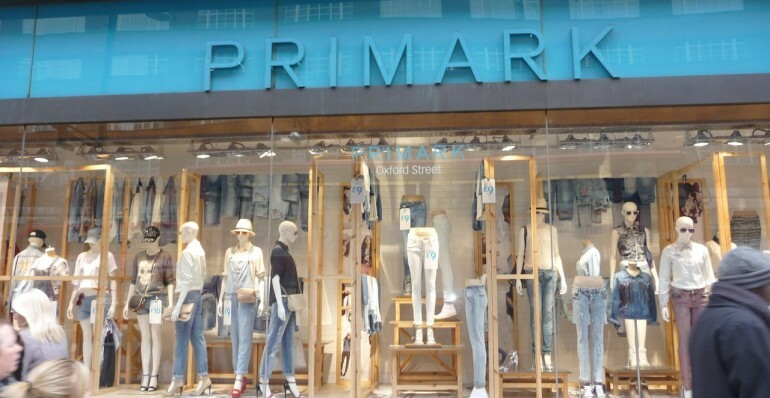 Pressuring brands such as Primark to sign up to the Bangladesh Fire and Building Safety Agreement, which importantly places workers and local unions in a central role, can make a real difference to the lives of workers. As a consumer you have power beyond simply where you put your money. You have a voice. Recent campaign successes, such as the 2,800 Indonesian workers from the PT Kizone factory who won a landmark settlement against Adidas, illustrate the power inherent when workers, unions and consumers worldwide unite. By signing petitions and writing to brand CEOs, you can make a positive impact by pressuring them to respect their workers rights. Because we owe them. Not only for the cheap clothes we wear, but also because we are still here while they are not. We will go on fighting to ensure that never again should global brands deny their responsibilities until it is too late, and never again should they put profit over people. The death of the dust-covered man and woman who lost their lives in each others arms last week was tragically preventable. 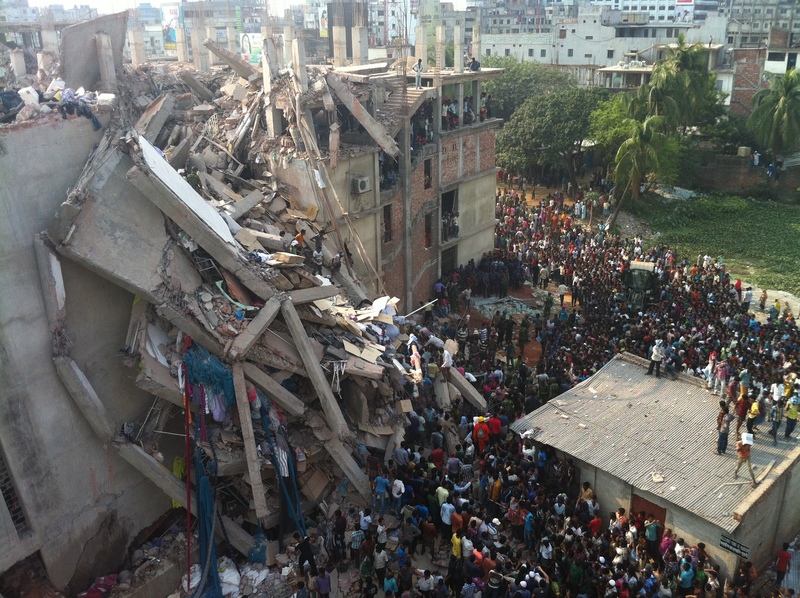 As have been the hundreds of other people who have died in factories such as Rana Plaza over the last decade. For them we will go on fighting. Never again should people risk their lives for the price of a cheap t-shirt.